Arthroscopic surgery of the hip and knee are minimally-invasive surgical procedures to diagnose and treat joint pain caused by arthritis and trauma. Board-certified orthopedic surgeon, Brian S. Parsley, MD, specializes in arthroscopic surgeries of the hip and knee to help you get out of pain and improve joint function. 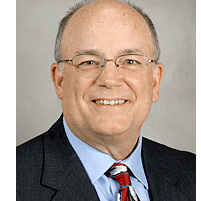 Located in Bellaire, Texas, Dr. Parsley has more than 25 years of experience providing treatment for knee pain, hip pain, arthritis, and trauma. Set up a surgical consultation today by calling the office of UT Physicians: Brian S. Parsley, MD or using the online booking tool. Arthroscopic surgery is a procedure used to identify, diagnose, and treat joint problems. An arthroscope includes a miniature camera — placed through a surgical incision into the affected joint — and cable system that connects to a video monitor. The arthroscope sends a live video stream from the camera inside your body to allow for visualization during a minimally-invasive surgery. The camera used during an arthroscopic surgery enables Dr. Parsley to zoom in and see anatomical structures from better angles than he may be able to visualize during an open surgery. This allows for a more precise and detailed surgery as well. What happens during an arthroscopic surgery? Before an arthroscopic surgery, you’re placed under anesthesia and given medications to prevent pain during your surgery. When the surgery begins, Dr. Parsley makes one to three small incisions to access the hip or knee surgical site. Dr. Parsley carefully inserts the arthroscope into your hip or knee joint and analyzes the anatomical structures inside. Based on his assessment, he modifies his surgical plan to address your unique anatomy and diagnosis. He completes the surgery by removing any tissue debris from the joint that may be causing pain and inserts prosthetic devices in the case of a joint replacement. Most arthroscopic surgeries last less than two hours. When your surgery is over, Dr. Parsley closes the incisions with surgical tape and you wake up from the anesthesia. When you awaken from your surgery, you will be allowed to return home to recover. Dr. Parsley provides you with after-care instructions and outlines a physical therapy plan to recover after your surgery. Recovery may take several weeks or months, depending on the procedure performed during your surgery. To learn more about arthroscopic surgery for your condition, call or schedule a consultation online with Brian S. Parsley, MD.